Halfway through the WSL world tour season, Australian Matt Wilkinson, has climbed onto the Jeep Leader position on the World Championship Tout (WCT). His come-from-behind win in the Outerknown Fiji Pro on Thursday over fellow Australian, rookie Connor O’Leary was a polished performance. Back-to-back finals in Fiji, for “Wilko”was no fluke. Leaving Fiji wearing the Jeep Leader jersey for the second consecutive year is no fluke either. What’s undeniable is that Wilko’s gaining momentum at the midway point of the season…that, and he’s surfing a lot better this year. “I think the difference has been his rail work,” says Martin Potter. “He’s always been good in the barrel, and his backhand is lethal, but this year he’s really been focusing on the forehand turns, and it’s really paying off.” Indeed, Wilko’s forehand flair is what got him over the hump in the final. At his core Wilko is a creative who loves to paint outside the lines, and that creativity is what got him on the WCT. However until 2016 it he struggled just to survive at the elite level. It took him six years to crack the top 20. And after finally doing so in 2015 Wilko sought the help of Glenn “Micro” Hall. With Thursday’s win Wilkinson has taken the Jeep Leader jersey from John John Florence, albeit by the slimmest of margins. He’s clinging to a tiny 250 point lead as the WCT moves to Jeffreys Bay. Jordy Smith, Owen Wright, and Adriano de Souza are only 650 points behind. And Joel Parkinson has now climbed up into the World Title race after an impressive third place finish at the Outerknown Fiji Pro. For Connor OLeary after making his first WCT Final in Fiji, has moved up eight spots on the Jeep Leaderboard to No. 7, just behind Joel Parkinson. The kid from Cronulla has taken a commanding lead in the race for this year’s Rookie of the Year honour. 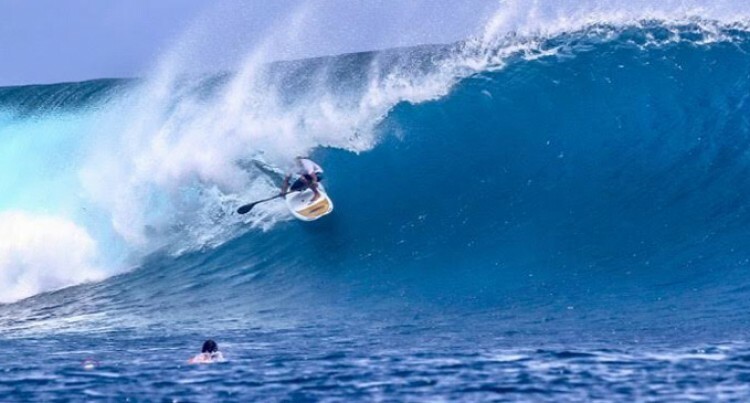 The International Surfing Association (ISA) and the International Canoe Federation (ICF) have requested the Court of Arbitration for Sport (CAS) to mediate new discussions over the governance of StandUp Paddle (SUP). The ISA is welcoming the opportunity to put forward our position as the rightful custodian of SUP that can continue to best ensure the development of the sport and work in the interest of all SUP athletes worldwide. It has been able to offer so much to SUP and athletes world wide- creating an international competitive platform, empowering national surfing federations to develop the sport worldwide and giving a voice to our discipline that can be heard by more people globally. The next SUP event is coming up on July 15-16 so get your entries from the FSA Facebook site before it fills up.